The Supreme Court has ordered a revision petition filed by family members of Congress and bomb blasts against the release of seven persons in Rajiv murder case. Former Prime Minister Rajiv Gandhi was assassinated on 21 May 1991 by a human bomb in Sriperumbudur public meeting. In this case, Nalini, Murugan, Shanthan, Perarvallan, Jayakumar, Robert Paes, Ravichandran are in jail. The Supreme Court recently ruled that the Governor of Tamil Nadu will decide on the release of these. 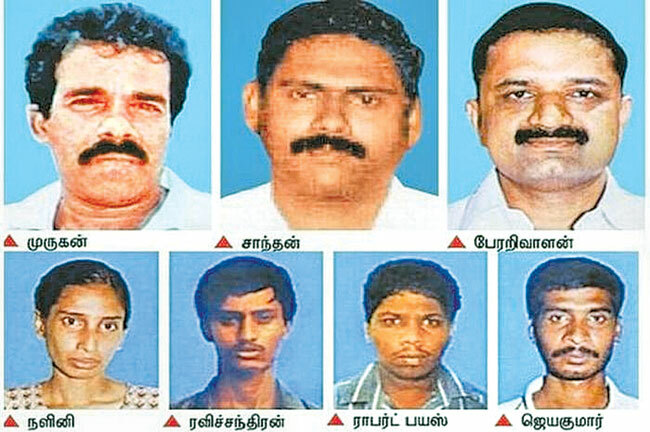 Following this, the Tamilnadu Cabinet convened a resolution recommending the release of seven prisoners. This recommendation was sent to the Governor of Panwarilal Prakriti. Even though the Tamil Nadu government has received support from various parties, some have expressed their opinions. When Rajiv Gandhi was killed in the Sriperumbudur public rally, other 14 people were killed. Apart from Dhanu, others are not connected with the Tigers issue. Opposition to the release of 7 people on behalf of their family and other organizations. On behalf of the families killed in the blast, a letter has been issued to Governor Perveilal Purohit. They have been emphasized not to release 7 prisoners. Tamil Nadu Minister Jayakumar, DMK, political parties and organizations have urged the Governor to accept the recommendation of the state government. It was reported that the Governor had sent a report to the Union Home Ministry about liberation. The governor's office refused to comment on this last Saturday report. In this case, it is a bit complicated to decide on the recommendation of the Government of Tamil Nadu on the issue of Rajiv's murder case. In this, the legislature, the administrative and the constitutional issues that constitute legal ruler will decide whether he will decide. " In the meantime, the Supreme Court of India has been hearing the case of the then Congress leader Narayanan, Abbas, John Joseph, Samuel Trivia and Rama Suganthan. The issue was sent to the Governor by the TN decision to release 7 prisoners. Strong resistance to release them. The Supreme Court has ordered the families of the victims to file a new petition within three weeks, including the existing status and the new recommendations of the Government of Tamil Nadu, as it has already been pursued on the basis of the decision taken by the Jayalalithaa regime. The next hearing of the case was postponed for 3 weeks. By this, the release of the 7 accused has again reached the Supreme Court.